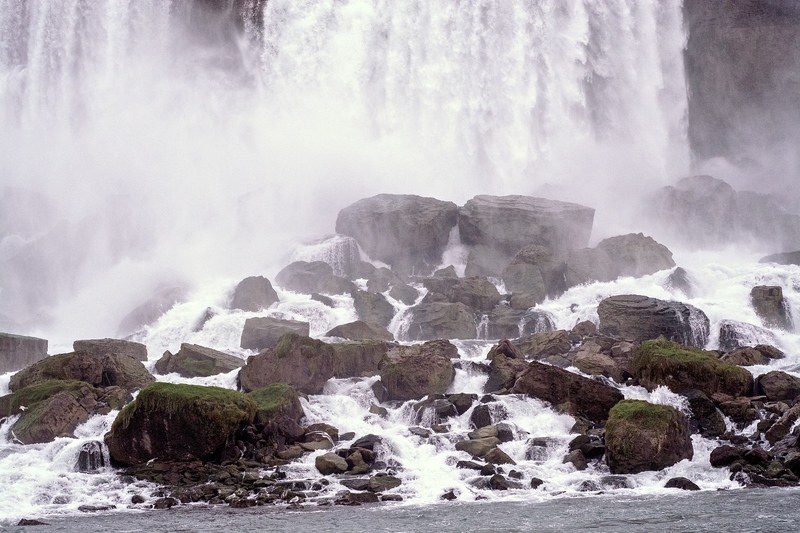 NIAGARA FALLS, ONTARIO — Our feelings for those parts of life that are too familiar, such as a job or relationship, can become blasé and we can take them for granted. Niagara Falls is like that for me. Only 90 minutes from my Toronto home, Niagara Falls was introduced to me as a child. Back then I visited with my parents and the attraction left me filled with a true sense of wonder. Decades have past and I have escorted my own kids, out-of-town friends and business colleagues to Niagara Falls. Most times it was the “Snapshot & Don’t Pay” tour — take as many pictures of the Falls in 10 minutes while you illegally park in the No Stopping zone and go on your merry way without paying for parking. Fast track decades later and after I have travelled all around the world and taken part in many other awe-inspiring experiences. Niagara Falls was relegated to the “It’s there” category. On a recent crisp fall day, I reignited my passion again for Niagara Falls and the scenic Niagara Parks area. It was like a class reunion and reconnecting and embracing a long forgotten friend. Mother Nature’s finest work is on display daily in the 56 kilometres (35 miles) of parklands and gardens along the Niagara River. Even the esteemed former British Prime Minister Sir Winston Churchill agrees when he described the picturesque Niagara Parkway he visited in 1943 as the “Prettiest Sunday afternoon drive in the world.” It’s one of the prettiest drives no matter what day in my books. The Niagara Parks Commission is responsible for maintaining and preserving this area for the 11 million people who visit Niagara each year. Best of all since 1885 when the commission was formed it has done it with not one penny from the taxpayers. Now that’s an economic wonder of the world! The Niagara Parks area can amaze, entertain and surprise you no matter what time of year. Autumn’s palette of vibrant red, yellow, orange, purple, and deep forest green hues from maple, oak and ash trees showcase Niagara’s stunning nature. It’s a perfect time to visit with fewer crowds, better viewpoints and in many cases more affordable prices to stay and eat in the region. Pop & Lolly’s: Chocoholics and those craving sweets will love this colourful candy shop inside Table Rock. It’s where sweet-tooth dreams come alive. Niagara’s Fury: Also at Table Rock, this family-oriented attraction starts with an animated film about how the Falls originated 10,000 years ago. You then grab a plastic poncho and move into a small theatre with a 360-degree screen and a movable platform floor that rumbles while rain and mist shower you from above while you watch images of the Falls and area. Admission: $13.50 for adults, $8.80 for children. Journey Behind the Falls: This famed attraction is celebrating its 125th anniversary in 2014. Marilyn Munroe, Christopher Reeve, Princess Diana, John F. Kennedy, and more notable figures and personalities have walked through the tunnels beneath the Falls and ventured into the outdoor observation deck where you are only 30 metres from the immensely powerful Horseshoe Falls. You can purchase tickets at the Table Rock Welcome Centre. Admission: $15.95 for adults, $10.95 for children. 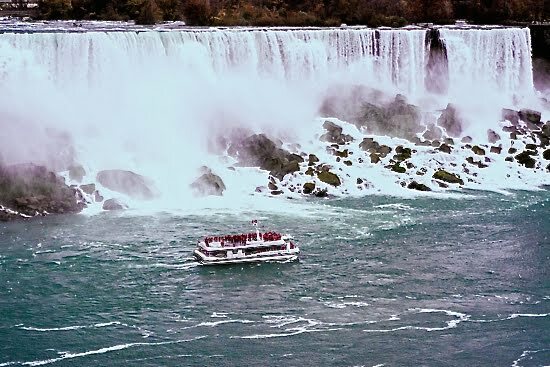 Hornblower Niagara Cruises: This tour operator took over in 2014 from the perennial Maid of the Mist (which still operates from the American Falls). This fleet of sleek and modern twin-hulled catamarans provides a more stable and comfortable journey experience as you pass the American Falls, Bridal Veil Falls and move breathtakingly close to the heart of Horseshoe Falls. Plan to get wet (visitors are provided with a free plastic poncho as they board the boat) and have fun on this 20-minute adventure. There are also special sunset, illumination and fireworks cruises available. Admission: Tickets are roughly $20 per adult and $12.25 per child. The prices vary depending on cruise and time of day. Visit the Hornblower website for details. White Water Walk: Located just a few minutes along the Niagara Parkway, White Water Walk is sometimes missed on a visit to the Falls but it should be a must stop. Take an elevator down to a tunnel leading to the edge of the Niagara River. Stroll along the nearly 400-metre wooden walkway where you can view in close proximity the mighty power of trillions of gallons of rushing water that pass by in this narrow trough. These Level 6 rapids with a water flow speed of nearly 50 km/h (31 mph) are considered one of the most dangerous in the world. Admission: $10.95 for adults, $7 for children. Whirlpool Aero Car: This attraction celebrates its centennial in 2016 and is a wonderful way to get a panoramic view of the turbulent and fascinating Niagara Whirlpool. As you soar above the Great Gorge in the antique open-air cable car (with a perfect safety record since its inception) you are treated to a visual and rich harvest of nature and colour, especially during autumn. Admission: $13.50 for adults, $8.50 for children. Farther along the Niagara Parkway are a number of other attractions, including the Butterfly Conservatory, Niagara Glen and Walking Trails, the Floral Clock, Laura Secord’s Homestead, McFarland House, Whirlpool Public Golf Course and Dufferin Islands (a great place to park free). If you are in the Fallsview district why not try out the Falls Incline Railway? The funicular is now fully accessible and operates all year round. It takes you on the short ride from the upper basin to the Table Rock Welcome Centre below offering one of the best and most spectacular views. Of course, Niagara Falls has its kitschy side with Clifton Hill and the Niagara SkyWheel, the new XD Theater ride and the Ghost Blasters Dark ride, and more silliness to entertain kids and adults alike. This rediscovery of Niagara Falls and area is about Niagara and nature – to me that’s a love affair that is and will still continue to blossom for millions of years. When to Visit: Some attractions close after mid-to-late November and reopen in the spring. Check with the attraction or Niagara Parks. Getting Around: WEGO, a transportation network for Niagara visitors, provides transportation by bus to tourist areas and attractions within Niagara Falls and Niagara Parks. Leave the car and take WEGO, which is wheel-chair accessible and can also carry bikes. Fares start at $7 for adults, $4 for children for a 24-hour pass.